As of the date of this writing the market is ripe for the picking in certain housing categories. Those looking for lower priced income property are doing well. This same investor just contracted a Grandview, MO duplex for $21,000…again the full asking price. (Why get in to a bidding situation with someone when it will make you the following?) Again, it’s a two bedroom, one bath duplex and this one will need closer to $16,000 to make rent ready. Maybe, just maybe $18,000. So he’ll be all in at $40,000 or so. Each side rents for $575. He knows this because he owns three other duplexes and one fourplex in the same neighborhood. Both of the real estate income property examples above happened within the last two weeks of August 10, 2010. There is a lot of garbage being marketed as investment property right now. But there are also a lot of cash flow finds to be had. Cash investors have different needs that the traditional real estate investor I have worked with in the past and continue to work with today. Cash flow. It’s all about cash flow with you. But don’t make the mistake so many Kansas City area real estate investors have made over the years and buy houses in neighborhoods that are over-inflated, unstable, dangerous, deteriorating, etc. Be smart with the money you invest. The name of this website is Foreclosure Homes Kansas. But we are licensed realtors in Kansas and Missouri and work throughout the entire Kansas City area. Cash investors will generally find a better “deal” to be had on the Missouri side. 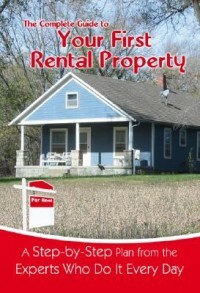 There are isolated pockets in Kansas that may interest the cash real estate investor. But by in large Kansas real estate is more expensive than Missouri real estate. If you are an out-of-state real estate investor you may wish to read up a little on the Kansas City area in a blog post done several years ago by Chris Lengquist. Kansas City: Two States, Two Cites, Much Confusion. Cash real estate investors are after one thing: cash flow. HUD owned homes, REO property, bank foreclosures and the like are a great way for you to find homes that will work for you. Cash real estate investors are usually looking to buy income property priced at $50,000 or less. At least in my experience. If you are a traditional real estate investor we know that you want cash flow, too. But it’s not paramount and you’d really rather have long term growth by owning income property that will also appreciate, stand up well over the years and attract a higher income tenant. Does that describe you? Traditional real estate investors are generally looking to purchase investment property priced at $100,000 or more. They don’t need to live off the monthly cash flow and will generally trade cash flow for leverage. To a certain extent, anyway. When you buy a foreclosure property for income purposes, and you buy it with cash, you are probably buying a house that is fairly inexpensive and will need work. The examples above are not uncommon. But cash investor type houses don’t grow on trees, either. It may be weeks before we call you to tell you we found something. Then it may come in waves with four or five possibilities in a few short days. You will almost certainly need to add additional monies to make a home “rent ready” before you put up the for rent sign. Cash investors in Kansas City will, of course, make more money if they manage the property themselves. Cash investors from out of state will need a property manager and a contractor. We can help you to choose both. There are of course no guarantees in any kind of real estate investing. But cash investors should be able to take advantage of the miscalculations of others to create a pretty safe equity position regardless of up real estate markets or down real estate markets.